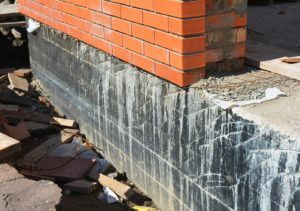 If basement waterproofing has made its way onto your home improvement to-do list, then be sure to turn to the professionals at Allmaster Home Services. Since 1987, we have provided homeowners like you throughout the Lutherville-Timonium, Maryland, area with top-notch home improvement solutions and outstanding customer service. Rather than offering you cookie-cutter options like many other companies, we will take the time to fully assess the problems you are experiencing and will formulate a unique waterproofing plan that is catered to your specific home. When you first contact us regarding your basement waterproofing needs, we will begin by scheduling a complimentary in-home consultation and an inspection where we will take an in-depth look at your residence and the problems you are experiencing. From there, we will discuss the most appropriate plan of action for your particular needs. Whether you are experiencing dampness in your basement, your walls or floors have begun to crack, or you’ve noticed that your doors or windows have become increasingly difficult to open and close, Allmaster is the company you can trust with all of your waterproofing needs. For more information about the basement waterproofing and water management services we offer to residents of Lutherville-Timonium, MD, contact Allmaster Home Services today.